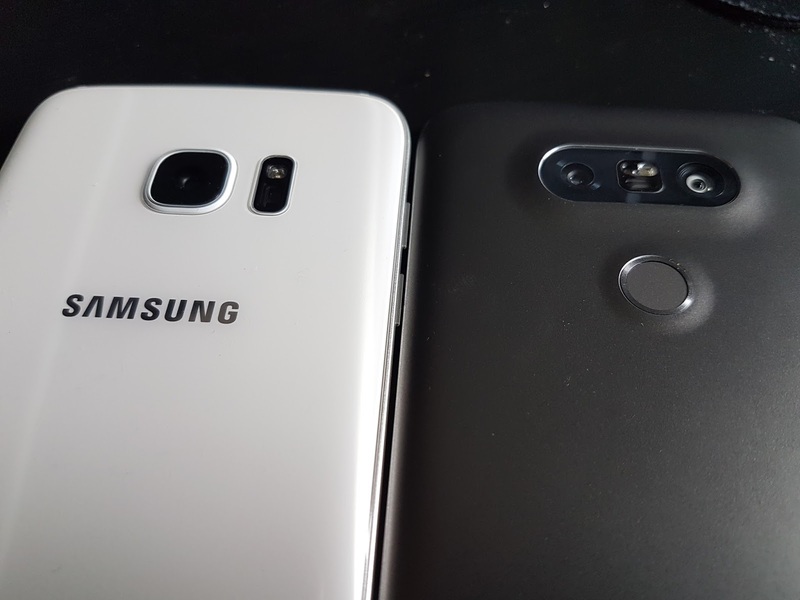 Kent's Space: LG G5 versus Samsung Galaxy S7 Edge Camera Shootout! LG G5 versus Samsung Galaxy S7 Edge Camera Shootout! 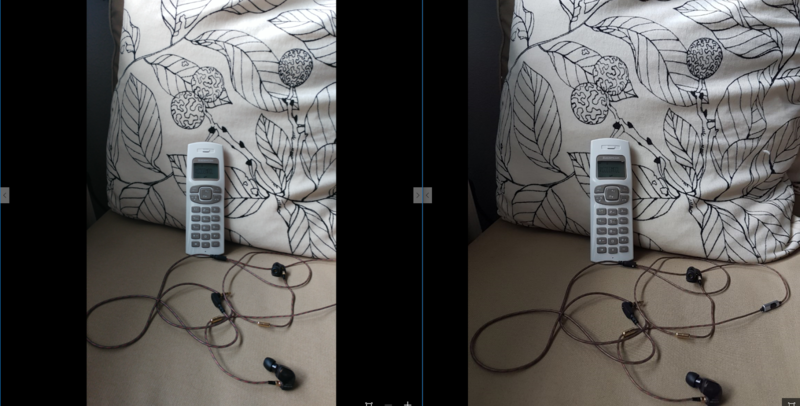 I decided to have a shoot out of two of the best cameras on the market on a mobile phone. To my surprise they're quite comparable, but in some situations one is better than the other. I'm not a professional photographer, but I do like to take pictures with my phone since I don't have my camera on me most of the time. So please take this pictures with a grain of salt as your mileage may vary! Both devices are my own personal devices that I purchased with my own money, so there is 0 sponsorship here. Google doesn't pay me for ads or traffic. Neither Samsung nor LG even know I bought their devices for this test. So these are 100% my findings and 100% mine alone with 0 influence from anyone. Note: All were taken in auto mode, with auto focus unless specified. First is zoomed out image and then 100% crop. In this picture we can see that more detail is in the the G5 image, mostly due to the 16mpx shooter versus the 12 megapixel shooter on the S7 Edge. There is no real clear winner, but I'd give the G5 the upper hand in this image solely due to the higher megapixel. Both shots are very well exposed, very good quality and neither of them took a better shot for sharpness. In this indoor shot the S7E pulls ahead due to the text on the LG G5 UAG case (another review that's coming up in the near future!). The G5 does have a higher resolution camera, but the sharpness of the S7E wins in this test. The text on the box for G5 and Drop Tested just looks better on the S7E. It's also very sharp, but both did a good job. Here in this image is where we begin to see bigger differences. Just looking at the greens in these bushes clearly shows the color representation on the G5 is superior. In the bushes you can see that there are "patches" of colors, where in the S7E image you can't clearly see them. Greens are more vibrant as well as having the stones being much more clearly defined.You can even read the text on the G5 for the pillar. The winner is clearly the G5. This image is just another 100% crop from the previous image. We can, once again, see how the colors aren't correctly interpreted by the S7E. These bushes do have patterns of yellow / green, where as in the S7E camera they're all blended together. G5 still wins this shot. G5 shoots a sharp image, but the S7E shoots a brighter image. But the greens on the G5 are more intense and feel richer. I'd give colors to G5, and overall quality to the S7E. Neither shot bad shots! This picture is much sharper on the S7E, but once again, color representation isn't the best on the S7E, so I decided to add one of the filters in the pro mode (still having everything in automatic of course) and I was able to shoot the following image. The S7E shoots a much richer picture, but now it doesn't look realistic. It's just a little to warm. While both shots are VERY good, I must say I prefer the black lines around the antler in the S7E image. 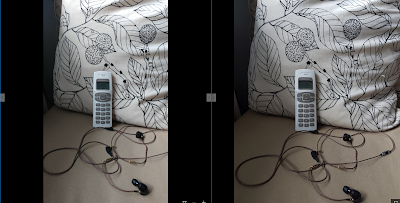 But once again, both are very good, Mostly the pixels seem to be crisper on the S7E vs the G5 - I do doubt that anyone could say that the G5 takes bad pictures though, because these are superb pictures. 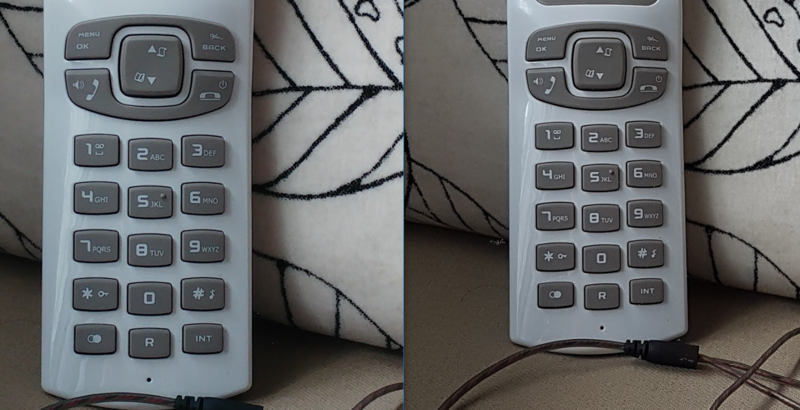 Colors in this image are more correct on the S7E, and also the numbers on the phone and the blacks on the pillow look better on the S7E. While inspecting the cable, I do find that the G5 captures more details. 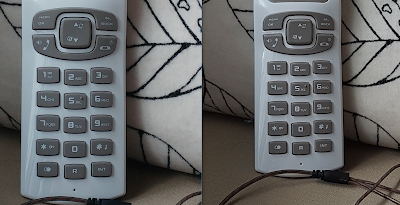 In the S7E shot you can see that there is some cable inside, but you can't really say which color is which, but in the G5 image you can clearly see which color is where. Tie? Yes, tie. Blacks are darker on the G5, but blurrier than the S7E counterpart. This is a difficult shot to decide which is better. So neither get my vote! Or both, however you want to look at it. In all these low light shots I was expecting the S7E to destroy the G5, ironically it didn't. Most pictures seem the S7E was darker, and less focused than the G5! Way to go LG. I spoke to soon, In this picture, and the following, LG totally disappointed me - just look at that quality! So many artifacts; the S7E destroyed the G4 in this highlighter image as well as the keyboard image on the Surface Pro 4. The Euro shot clearly falls in favor of the S7E where the image is both brighter and has more detail. The Samsung Galaxy S7 Edge and LG G5 are very good cameras. There is no clear winner for them, but we can say that some scenarios fall in favor of one devices versus the other. details are sometimes washed away and become blurry regardless of having a 16 megapixel camera. Colors are fairly accurate, especially indoors. Generally speaking the S7E locks on to the device in front of you very quickly and automatically. The 4:3 ratio is good for Instagram, and 1:1 shots. This will cut images if you want to use them as a background on most monitors, for example. New cases ahoy! Samsung Galaxy S7 Edge and LG G5!